In a prior article, we provided you with the statistics concerning the number of fatalities involving pedestrians. Unfortunately, recent news reports confirm that auto-pedestrians accidents in Houston can be the most deadly. See what’s happened in just the last couple of weeks. The local news is filled with details of auto-pedestrian accidents in the vicinity. In some cases, the victim may partially be to blame. However, drivers are expected to maintain control of their vehicles. Curious about some of the recent occurrences? We’ve provided you with a brief synopsis. A couple of weeks ago, a Metro bus struck and killed a pedestrian as the bus driver was turning left from Congress onto Milam. According to an article about the accident, an official from the bus agency said it was a preventable accident. What does that mean exactly? The bus company CEO seemed to place the blame for the crash on the bus operator. Apparently, the decedent was in the crosswalk when the accident occurred. This implied that the pedestrian had the right of way. It appears that the bus driver did not see the individual when she made the turn. The bus company representative was not at the scene when the accident happened. A couple of weeks ago, there was at least one fatal crash involving drunk driving in the Houston area. The news reported the deadly pedestrian accident occurred near Jersey Village. The driver was presumed intoxicated at the time of the accident. A Deputy Constable was driving a White Tahoe when he struck and killed a female pedestrian. The media reports that the accident occurred at Westheimer Road, near Shadowbriar Drive. The incident occurred at approximately 3:30 am. Authorities are looking for the identity of the victim, who crossed the road without the benefit of a crosswalk. Fortunately, not all pedestrian accidents are fatal. This is not to say that they do not produce severe and permanent injuries. Victims of auto-pedestrian crashes seldom remain unscathed. They may suffer from traumatic brain injuries and multiple fractures. It is not uncommon for someone hit by a car to have a changed lifestyle. What should you do? If you or a loved one has been involved in an auto-pedestrian accident, it is important to make a police report. Obtain as many details as you can about the other party involved in the accident. Take photographs if you are able to do so. You should also get the names of any prospective witnesses. 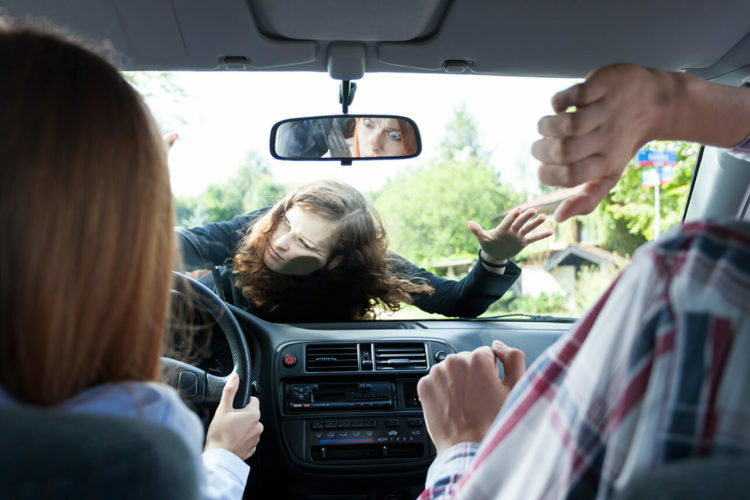 An accident involving a pedestrian can be a very scary experience. Want to see if you have legal recourse against the vehicle operator? At de Lachica Law, we can help investigate and pursue your claim. Contact us to see how we can assist you.